The DaVinci Coders training programs are full-immersion web development courses in Westminster, Colorado. After an intense 12 to 13-week training period, students will transition into an 8 week course working on applying coding skills in a real-world work environment. Courses are designed to teach people with drive and passion the fine art of computer programming while balancing their personal lives. For each course, students are required to attend class 3 times a week. In addition to this requirement, most students have found they spend 30-40 hours on additional class-related work outside of the classroom. Along with the immersive program, DaVinci Coders also offers 24/7 co-working space in addition to other workshop and networking events. Students in the Learn to Code training programs will write full-stack web applications while learning the fundamentals of programming, and quickly come up to speed with the process for writing software. They will finish the class with a working application, portfolio, and industry experience. Most importantly, the DaVinci program focuses on working in teams and solving problems like a seasoned programmer would. DaVinci Coders recently acquired a provisional certification to operate as a school by the Colorado Division of Private Occupational Schools, which allows students to apply for the H1B Federal Grant. The School has also established MicroDegree™ accreditation. Want to be challenged? Take this course. Course Report is excited to offer an exclusive DaVinci Coders scholarship for $500 off tuition! Fill out the application below to submit this scholarship to DaVinci Coders. By submitting, you acknowledge that your information will be shared with DaVinci Coders. I have 30 years consulting industry experience and currently own a Firm that relies on a Rails-based platform. I highly recommend the Ruby on Rails course to serious-minded individuals who hope to become professional developers. Instructor Jason Noble: Well known in Denver’s RoR community, Jason emphasizes the use of best-practices, understands how learning occurs, and encourages his students to see their problems as learning opportunities. Jason expects students to do their work and problem-solve their way forward. Students who embrace this idea seem to enjoy themselves more than those who don’t. Syllabus: Topics cover not just RoR but technologies comprising a real-world Rails development environment. This gives a more complete picture of the skillsets a student would be expected to acquire as a professional developer. For example, Agile and Test-Driven-Development methodologies are important for professional developers to understand. Technologies to support these methods are woven into the syllabus. Final Projects: The course ends with team projects and team presentations of their work to families and friends., This again simulates business world expectations. Plus, it’s a gratifying celebration for those who put in the necessary effort to produce a high quality result. Post Graduation: Alumni and Jason actively help one another with technical and career issues. I took this course to better understand the RoR technology that my business relies on. I was pleasantly surprised by how it strives to prepare students to be successful RoR professionals. - not just coders. If that is your goal, I recommend this course. I have always believed that a course is only as good as the instructor who teaches it and this belief was certainly validated by my experience in the Ruby on Rails bootcamp. Jason Noble's extensive experience as a developer and as an instructor provided the majority of the value in the course. Jasons considerable knowledge and patience made him an exceptional educational resource that anyone could feel comforatable approaching with any manner of inquiry. The courses extensive documentation(slide decks, class videos) and network of available alumni and teaching assistants made it possible to thouroughly review course material and find assistance when needed. Another excellent aspect of the course curriculum is the developers 'toolbelt'. The toolbelt curriculum focuses on web development associated technologies(git, pivotal tracker, etc..) that provide a working knowledge of the develpoment tools that real world developers use on a daily basis. The course provided a solid foundation in back-end web development and a great working knowledge of what tools a development shop might expect you to use from day one. All in all, the experience was considerably challenging for a beginner like myself, but ultimately very rewarding. 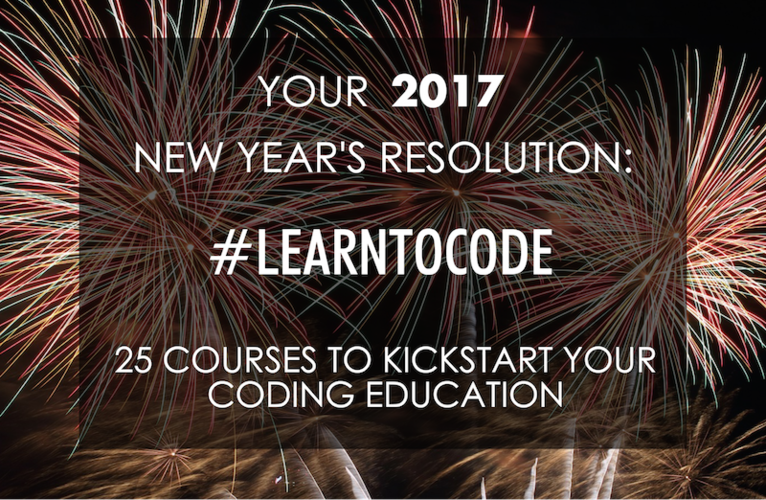 A great program for getting started in web development! I took the Ruby on Rails course with Jason Noble as the instructor May-Aug 2015. Jason was very knowledgable and was a great teacher. I will admit that the code that was learned in class probably could have been learned on your own outside of class. What I thought was so valuable (and my current employer agrees), is the processes that were taught. I was able to start my first job and start wiriting code on day one. This was because I already knew the processes... I knew all about version control, pull requests, TDD, Agile, etc. That being said, I still found the instruction in Ruby/Rails very helpful, and Jason was each to approach with questions. I would recommend this course to anyone who wants to attend a bootcamp, but can't commit to a full-time, long-term bootcamp such as Turing. I really enjoyed this class. When I started, I had no programming experience. I appreciate the systematic way that the instructor moves through the material building on it as you go. The classes are very fun and engaging, while homework give you a chance to practice. The instructor is passionate and really interested in how to best teach this material. He is also a very knowledgeable industry professional. He is extraordinary patient and helpful. The part time format of the class is good and bad. This is what was the draw for me - a working adult that could not afford a long break from work. It allows one a chance to learn without quitting a day job. However, I had to work very hard to keep up. Additionally, the amount one can learn in a part time program over a few months is limited. I find that I learned how to learn in this class so that I could go on and improve my skills. It is a strong solid foundation that will help anyone trying to learn or seeking a career change. It is a starting point, not an ending point - be prepared to keep working after class is complete. I graduated from the DaVinci Ruby on Rails course in December 2015. Overall, I had a very positive experience with the course. The instructor, Jason Noble, was incredibly knowledgeable and insightful and helped me learn a lot. However, I will say that this course is definitely heavy on self-learning. The curriculum was very structured and I knew exactly what we would be learning each week. However, I felt like the pacing was a little slow. So a lot of the things I learned in class I read about myself and could bring questions to the instructor or my mentors. In general, I felt like I learned a lot by putting a lot of time and effort (30-40 hrs/week) into learning outside of class. When we get homework assignments, I did them immediately and tried to drill myself on new concepts until they were second nature. My biggest complaint about this class was that there was not much job assisitance. We had a very short powerpoint presentation covering resumes and cover letters and the instructor offered to give us one mock interview. Luckily, I learned enough to be formidable during technical interviews and got a job a couple of months after graduating. All in all, I would recommend this class to someone who is extremely motivated and willing to put in a lot of hard work. For a reasonably priced course that caters to people who are already employed, this is a great way to jump start a career in software development. Disclosure: I took the part time RoR course 2 years ago so my data may be out of date but I don't think so, from what I have heard. The course was not well laid out. We started out doing through Learn Ruby the Hard Way in class. I am paying to go through the work we could do online. But it's going OK. We are learning VIM, middle-stack, etc... but there appears to be no focus, or at least we're not shown what that is. I implore with the instructor/admins to help with that, but nothing. Homework was weird - we were working on homework for weeks that wasn't graded. Suddenly the instructor asks us to upload our homework at once. For most of us, weeks of homework (that we all had done) comes back as "wrong". I was flummoxed. Not only am I trying to figure out what is going on in THIS WEEK's curriculum, but now I have to figure out 3+ weeks of DAILY homework, all of which *all of it* which was wrong. Totally demoralizing. Instructor was less than helpful with this. Turns out he was lazily applying an algorythm to the homework and if 1 character was off it would signal as "wrong" and send it back. Most of my homework was done correctly but then I just added to it by praciticing on the page to challenge myself. I had no idea that the extra work on the page was reading as "incorrect" to his checker. And he didn't do one of two easy fixes: 1. tell us that so we delete our extra work so it shows up verbatim or 2. look at the work and say, "oh you did your work plus extra credit, you have the CONCEPT CORRECT, move on." Instead it was "hide the ball" and make us figure out the issue. The problem with figureing it out is this is 3 week old homework since he hadn't been doing homework checks at the beginnning. And to emphasize - this happened to everyone in the class, not just me. We talked about it - it was a point of frustration and confusion. Most of us first blamed ourselves, thinking, 3+ weeks in that we were really dumb and had been failing and not knowing it, getting no help or encouragement from anyone at Davinci, and then more/less getting blamed for it being on us to sort that out. We did, which was to lose interest in the program. I never caught up with the curriculum. I met with the instructor, my tutor, admins and no one reached out to help me, just said "work harder". and expressed no shared responsibility iin this (which the ENTIRE CLASS was experienceing, all of us). It resulted in two courses - Ruby which I had figured out via this work I did well, and Rails/TDD which I utterly failed because of the pacing/structure and unwillingness of Davinci, to help. Because of this, the project portion of the course was a shitshow. We basically had two students work on some semblance of a project. The rest of us were floundering - I showed up still working on back homework since I never caught up. We were basically abandoned about 1/2 way through the program and cohesion faded from there. Our instructor is supposed to be a RoR guru but he was not a very empathetic instructor. Unless these approaches have been rectified (I would ask how the instructor helps individual students, how many tutors they have, how they match tutors to students, what happens if you need additional help) I would not recommend Davinici. I met with the program manager at DaVinci Coders at noon on Saturday, January, 23. The interview went well and I was told I'd be contacted on Monday whether or not I was accepted. Monday came and went. Tuesday I woke up with a head cold and had to work. I called the office on Wednesday and was told that I had indeed been accepted. The program manager then proceeded to tell me that if she remembered correctly I was on the fence about which program to attend. Mind you I knew that I wanted their Ruby on Rails course (which I was very clear about) that started 2/1 and told her that I did not need financing, that I had the money and needed to purchase a MacBook immediately so I could make their software installation event on Saturday, January 30. Obviously time was not a luxury here with the course beginning on 2/1. She gave no explanation of why I was not contacted. Needless to say, the lack of professionalism turned me off on attending DaVinci. The actual courses and instructors may be top notch, I don't know and will never know because they dropped the ball right off the bat. The hands-on environment made a huge difference. I learned more about programming in 11-weeks at DaVinci than I did in an entire year at home. Great class! There are so many things I've learned. I'm ready to be a developer. If you are passionate about learning and do the work you will be ready to be a junior web developer by the end of this course. Caron Newman (our instructor) is the best! If you are willing to work hard and study, DaVinci can give you an advantage in the coding job market. A great alternative to all the outdated university programs out there. Davinci was invaluable to me in the creation of http://enclosedworld.com The program gave me the skill set to produce and maintain my entire site. I would recommend this class to anyone, even if they have no knowledge of front end programming. I started with just a basic understanding of HTML, and walked out with the ability and confidence to create websites that make Wordpress look silly. In this course I learned how to build a web application from the ground up, using pair programming among other methodologies. The whole class became my family. Thank you DaVinci! Thank you Jason! Good program. Great People. Professional Content. This was the hardest course I have ever dared to complete, and I would do it again. This course delivered what was promised. Gave us all the tools that a junior Ruby on Rails Developer needs....My advice, DON'T STOP ASKING QUESTIONS, it's the best way to learn! Also, DO ALL THE HOMEWORK, twice...sometimes, three times! It's great to get started with others who can help get better connected in the industry. This has taught me how to do my job. I finally can read code and find bugs better. When I started this program, I didn't know what I didn't know. Now I know what to study and the basic overall MVC format. Plus, I now have a community of coders to bounce ideas and questions off of. The Building the Toolbelt of a Junior Ruby on Rails Developer course sorts out the most current, relevant topics used in the industry. Jason Noble (senior instructor) provides expert instruction on those topics and is always looking for new ways to improve the class. This 11-week video game development course was the equivalent of a two-year degree with everything that was taught and in all the skills I've learned. I came into this class with little to no programming and design experience and feel like I now have a good understanding of both. I was thoroughly satisfied with the results of this course. I am exactly where I'd hope to be. Definitely one of the best classes I've ever took. Way more efficient than traditional schools. Any other information you'd like to share with Deb Frey from DaVinci Coders? By submitting, I acknowledge that my information will be shared with DaVinci Coders. An email with these details has been sent to DaVinci Coders. You've already applied to this scholarship with DaVinci Coders.